The CfA is a collaboration of HCO and SAO. Some CfA staff are also in the Harvard Department of Astronomy. The Havard Astronomy Department faculty are members of the Harvard-Smithsonian Center for Astrophysics (CfA), which is a collaboration of Harvard College Observatory (HCO) and Smithsonian Astrophysical Observatory (SAO). In addition to Harvard Faculty advisors, Harvard graduate students may also elect to work with SAO scientists. The Harvard Origins of Life Initiative is a multi-decade research program at the intersection of biochemistry and planetary astronomy at the Harvard-Smithsonian Center for Astrophysics. Their goal is to discover how the initial conditions on planets, including our Earth, determined their biochemistry and life forms. This knowledge will eventually allow targeted studies of the biochemistry of planets that might harbor life, including Earth twins. The Institute for Theory and Computation (ITC) resides in the Theoretical Astrophysics Division of the Harvard-Smithsonian Center for Astrophysics. One of the primary objectives of the ITC is to integrate conceptual theory with computational modeling. Astronomy Professor Avi Loeb runs the center. The Banneker & Aztlán Institute Summer Program is a full-time, 10-week summer research and study experience to prepare talented undergraduate students from underrepresented minority groups for studies in top Astronomy graduate programs. The lab and telescope are primarily used for undergraduate Astronomy and Earth and Planetary Science courses. 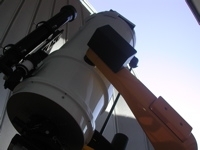 Student Astronomers at Harvard-Radcliffe (STAHR) is a student-run organization at Harvard College that aims to provide an opportunity for Harvard students and affiliates to learn more about astronomy and to enjoy looking at the night sky. Astrobites is a daily literature journal summarizing new astrophysical research posted to astroph. Astrobites is written by graduate students for undergraduates. The Black Hole Initiative (BHI) is an interdisciplinary center at Harvard University involving a collaboration between Principal Investigators (PIs) from the fields of Astronomy (Sheperd Doeleman, Avi Loeb and Ramesh Narayan), Physics (Andrew Strominger), Mathematics (Shing-Tung Yau) and Philosophy (Peter Galison). The BHI is the first center worldwide to focus on the study of black holes. The BHI is the first center worldwide to focus on the study of black holes, and as such it offers a unique naming opportunity for potential donors.